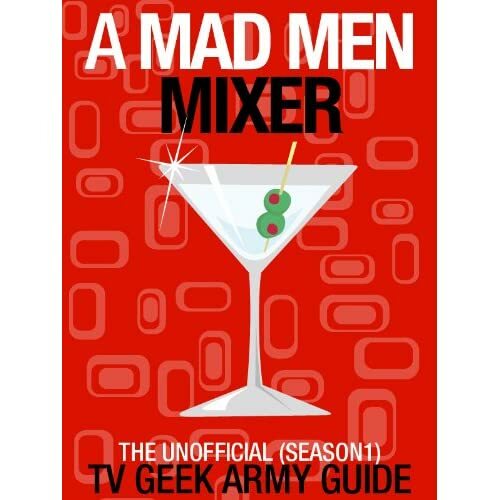 Posted on Saturday, October 3, 2015, by Eric - TV Geek Army "Revered Leader"
While many storylines were successfully concluded by the time Mad Men wrapped up, there are a number of lingering unanswered questions that are good grist for speculation and pontification. How did Pete know the address of Peggy’s apartment in the series pilot episode? One of the more enduring unanswered Mad Men questions dates all the way back to the pilot episode. 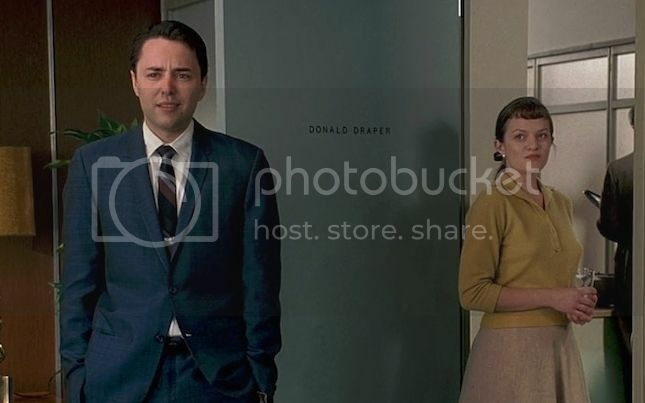 After Peggy Olson’s first day of work, which happens to fall on the same day as Pete Campbell’s bachelor party, Pete shows up at Peggy’s apartment late that night. How does Pete know where Peggy lives? This Don Draper’s “new girl,” so essentially from Pete’s perspective this is the new secretary of Sterling Cooper’s creative director that he’s met during the course of a single work day. Did Pete take a cab ride to Madison Avenue, key himself into Sterling Cooper in the middle of the night (assuming he even had that privilege), drunkenly mess around Joan’s desk until he magically uncovered Peggy’s address? 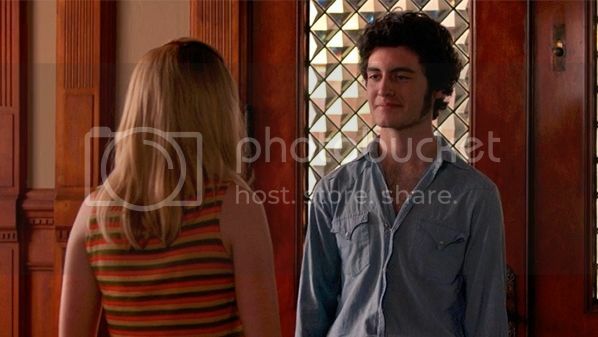 One theory that I’ve long been intrigued with is that Pete and Peggy actually knew each other before she arrived at Sterling Cooper. It would explain, perhaps, why Pete treats Peggy quite cruelly the first time we see them meet on screen (and why Peggy willingly invites him into her apartment later that night). It may even provide some color on why Peggy made an advance on Don near the end of her first day at Sterling Cooper. I held out some hope that this question would be addressed at some point but alas it was not to be. Incidentally, there’s interesting question line of questions stemming from Pete’s bachelor party as well: why did Pete only invite his co-workers to the bachelor party? Why wasn’t his brother invited (I don’t believe it was established where he lives, but he does appear in a number of later episodes), or other friends? Maybe this was Pete’s “work friends bachelor party”? How long did Suzanne Farrell wait in the car as Betty confronted Don about his secrets? Every time I watch the fateful Season Three episode in which Betty breaks into Don’s “secret” desk drawer and then finally confronts him about its contents, I want to scream at the television, “Your mistress is waiting in the car!” This scene happens, of course, while Don is attempting to make a little mini-escape with Suzanne Farrell AKA Sally’s schoolteacher. We never do find out how long Suzanne waited in the car before slinking back to her place, and only see her again during the series when Don breaks up with her by phone. It’s interesting to note though that there are several pivotal moments where Don attempts to escape the confines of his New York only to get pulled back in by events. He tried to take Midge to Paris in Season One, for example, when Pete was in the midst of trying to out him about his past. It’s only late in Season Seven, near the end of the series, where Don finally does breakaway for an extended walkabout. However, events back home again (read: news relating to Betty) directly tie into the series’ culminating moments. What were Don and Betty’s early married days like? 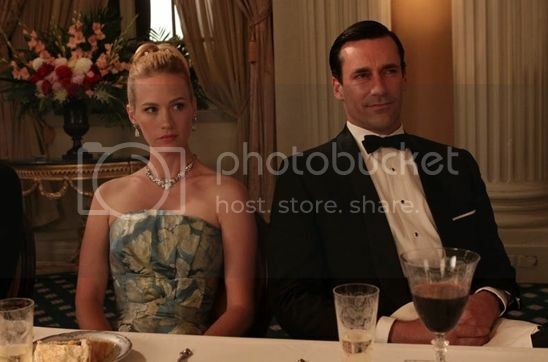 We get to see quite a few flashbacks throughout Mad Men’s run, but it strikes me from time to time that we never get to see Don and Betty from the time they met up until the moment Don arrives home from work (after many adventures) at the end of the pilot episode. Well, that’s not quite true. During the Season One finale, “The Wheel” (arguably one of the best episodes the series has ever produced), we see a number of pictures of happy Draper family moments in the midst of Don’s highly successful pitch to Kodak. It’s a stunning and emotional and even funny scene (Harry breaking down and leaving the conference room cracks me up in a cathartic way every time) in which Don exposes his family life for the sake of a pitch, all while recognizing the good things that he’s letting slip away. 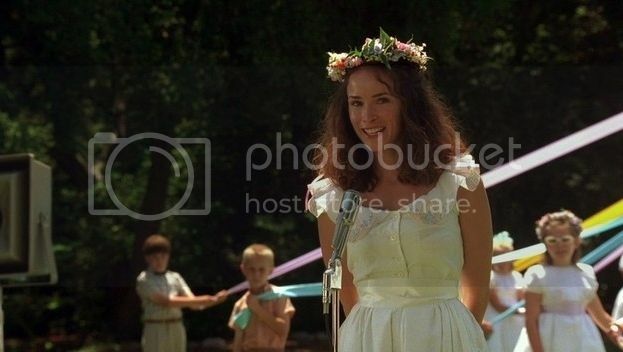 Do Glen Bishop/Greg Harris/the sailor guy at the party in “A Little Kiss”/the army guy at the bar in “The Doorway” make it back from Vietnam in one piece? The conflict in Vietnam is an increasingly important factor and backdrop to events as Mad Men transitions from the mid- to late-‘60s. A number of characters even head off to Southeast Asia, including Greg Harris and then later, somewhat shockingly, Glen Bishop (Marten Holden Weiner, series creator Matthew Weiner’s son) heads off to war. Glen literally grew up before our eyes over the course of the series and for many will forever be the strange little boy who asked Betty to give him a lock of her hair. We never will know if Glen and Greg and other servicemen we met over the course of the series make it home safely. Did Don create Coca Cola’s “I’d Like to Teach the World to Sing” campaign? 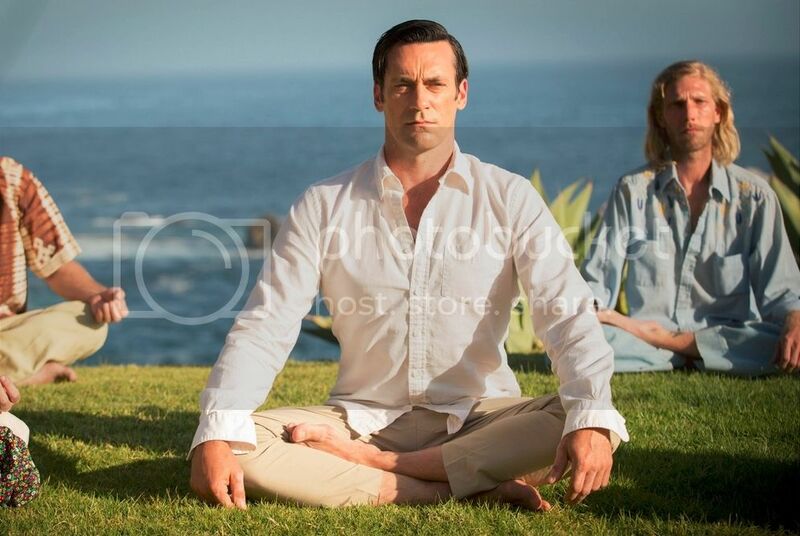 Matthew Weiner, who worked on The Sopranos, obviously thought deeply about how to end Mad Men. It was unexpected and a little bit shocking while avoiding the enduring controversy and heated arguments that accompany Sopranos conversations to this day. That said, it still holds a level of mystery. Did a smiling and transformed Don go on to “teach the world to sing” via the actual and famous Coca Cola ad campaign from the early ‘70s? We’ll never know, but it’s lots of fun to speculate.